STAMFORD worked at Staveley Minerals Ltd, Pilton Ironstone Quarries, Rutland. The Staveley Minerals Ltd concerns favoured the six wheel products of the Avonside Engine Company and a number of ex-ironstone examples survive of which STAMFORD is the one with most local relevance to our collection. Supplied new to Pilton Quarries on 23rd February 1927, the locomotive was specified with an open backed cab to allow escape when working through the narrow three-corner tunnels at Pilton. In latter years STAMFORD was the loco on duty for a visit of the Industrial Railway Society and recently a number of photographs of this visit have been published. When the quarries closed in June 1969, the locomotive was acquired by members of The Bluebell Railway but STAMFORD saw no use there. 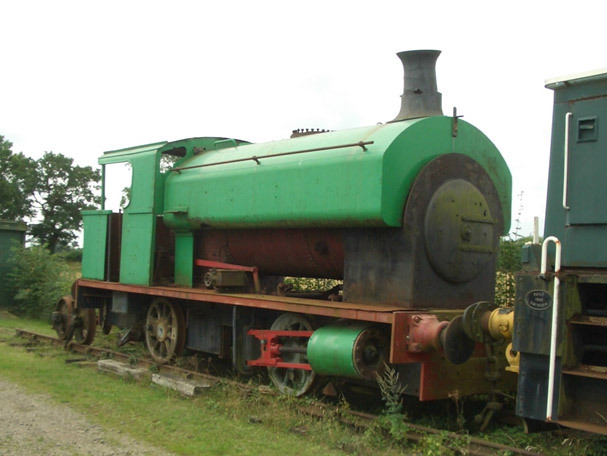 The locomotive is now on loan to our Museum and it is our intention to complete a cosmetic restoration and for the locomotive to be a fitting testament to the Pilton Quarry endeavours.